Souping: What is the new fad diet and how does it work? Rachel Brosnahan and Alex Borstein in "The Marvelous Mrs. Maisel." (CNN) - "The Marvelous Mrs. Maisel" has already amassed oodles of accolades, including a near-sweep at the Emmys. But the Amazon dramedy already feels as if its act is growing a tad stale, with the various subplots inspiring the sort of indifference that merely heightens pressure on the headliner. 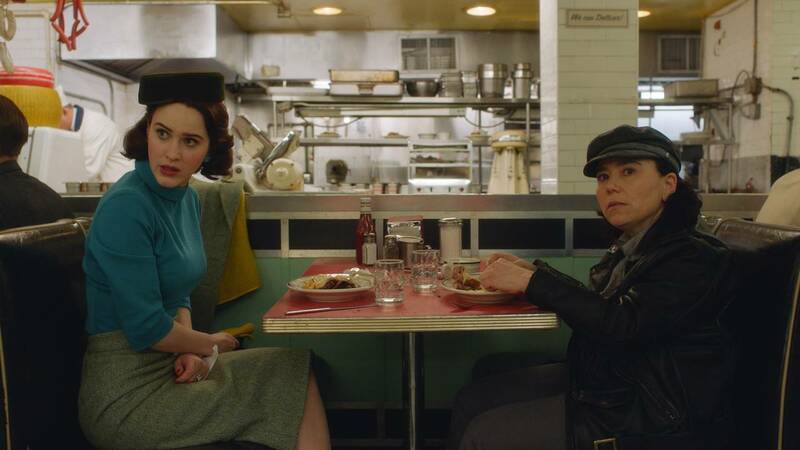 Fortunately, that headliner is Rachel Brosnahan in the title role, and she remains sensational as the 1950s housewife who, in season one, discovered a knack for stand-up comedy, even inspiring real-life legend Lenny Bruce (Luke Kirby, seen too sparingly in the episodes previewed) to take her under his wing. While season two continues her progression, it also seems to magnify the shortcomings of a first season that -- while loaded with wit, Jewish cultural specificity and Rat Pack-era atmosphere, down to the production design and period songs -- managed to be good and yet somehow, almost instantly overrated. Part of that has to do with series creator Amy Sherman-Palladino's rat-a-tat dialogue, a longstanding hallmark of her shows (see "Gilmore Girls" and its Netflix revival) that, frankly, is either your cup of tea or isn't. The main issue here is that everyone speaks in roughly the same voice, making the characters less distinctive or believable than simply conspicuous proxies for the writer. Sherman-Palladino still produces plenty of funny lines, from a wedding toast gone horribly wrong to a character announcing in a loud voice "Did you bring the bag of money we use to bribe people?" at a bank. Brosnahan's Midge takes a day job (amusingly, as a switchboard operator), visits the Catskills -- where Zachary Levi is introduced as a new character -- and keeps honing her act, despite the rampant and casual misogyny she encounters amid stand-up's male-dominated formative years. The interludes involving the personalities around Midge, however, largely prove to be distracting detours, beginning with an unexpected sojourn to Paris. Even the terrific casting -- including Tony Shalhoub and Marin Hinkle as Midge's parents, Alex Borstein as her manager and Kevin Pollak as her father-in-law -- is challenged by the broadness of their arcs. Amazon, obviously, has already scored fabulously with all the awards recognition, and "Mrs. Maisel" has plenty of room to operate as the narrative finishes out the Eisenhower years. Season two doesn't deviate much from the established routine, meaning those who wholeheartedly embraced the show initially should still find a lot to like. For others more unmoved by its charms, the choice is to accept "Mrs. Maisel" on its terms, or politely wish that the series and its fans have a long and happy life together. "The Marvelous Mrs. Maisel" premieres Dec. 5 on Amazon.